Australians love their dividend paying stocks. They pay a regular, tax effective income that provides cash flow for many of us. But is our love affair with these fully franked dividends detrimental to our market performance? Some time ago in Australia, the Hawke government made the decision to abolish the double tax hit on dividends by allowing shareholders to claim a franking (tax) credit for some, or all, of the tax an Australian company had paid on its earnings. The hidden benefit of what we now call the dividend imputation system is that it made Australian companies better manage their capital, which has made them sounder investments. In fact, franking credits explain much of the outperformance of Australian stocks since 1988, the first full calendar year their benefits were felt. It would appear that once Australian shareholders compelled companies to hand over more tax-effective dividends, management had to become better managers of money. Australian companies were left with only enough money to invest in the best projects. This frugal reinvestment means companies pursue fewer, better and lower-risk projects. Since these are more robust projects, there are fewer duds. In other countries, management tends to invest in more projects and many with more dubious prospects. We cannot put all this outperformance down to dividends, some credit must go to the recent mining boom, 22 years without recession, the monopolies and oligopolies that many of Australia’s big companies enjoy and, not to be underestimated, the listing of some great business over the past 28 years. But many other countries benefit from these drivers of returns as well. This chart shows research from the London Business School. It presents compelling evidence that the highest-yielding stock markets outperform. They found the highest-yielding stock markets returned 13.5% p.a. from 1900 to 2010 compared with 5.5% p.a. for the lowest-yielding markets. 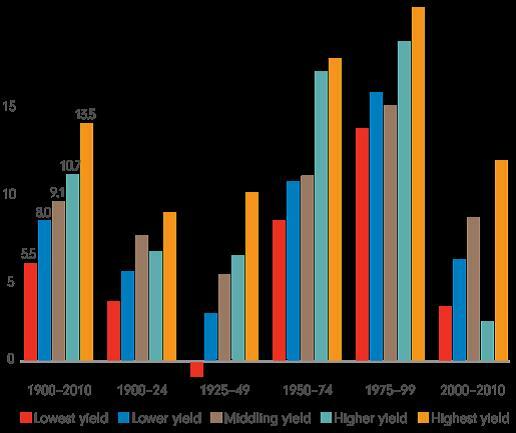 The analysis showed that the highest-yielding markets were the top performers over every consecutive quarter-century period last century and over the first decade of the 21st century. 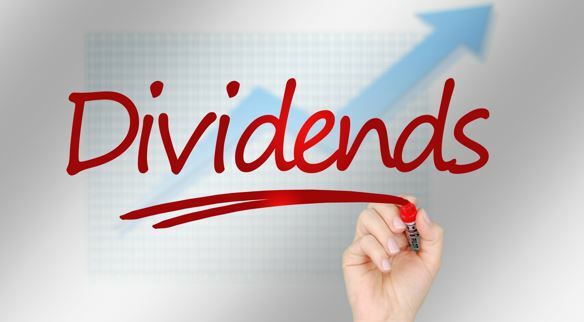 This unheralded link between fully franked dividends and higher share market returns is another reason we prefer our quality dividend paying stocks. (1) Kate Howitt. “Dividend imputation’s unheralded magic” Fidelity International April 2015.